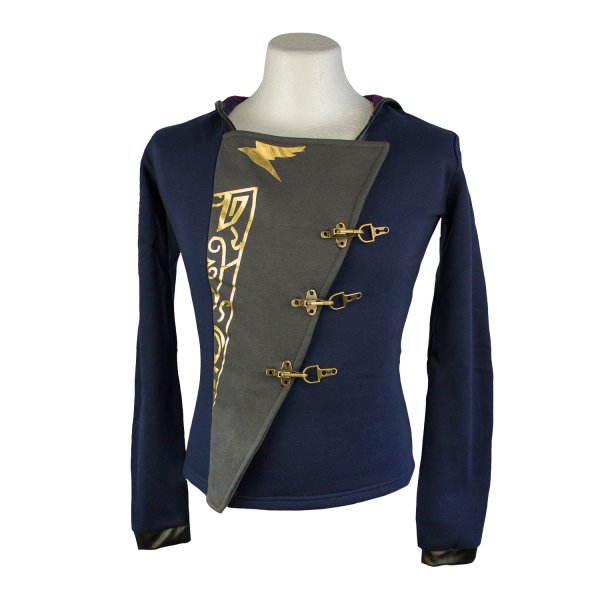 This high-quality hoodie, inspired by the clothing of Emily Kaldwin, has a special hood, an impressive closure system on the front, thumbholes in the sleeves and gold foil print on the inside. Made of polyester-cotton blend fabric (50% cotton, 50% polyester) for wearing comfort and long-lasting fit. Manufactured by Gaya Entertainment.